WILLEMSTAD – Parliament has another Independent member. 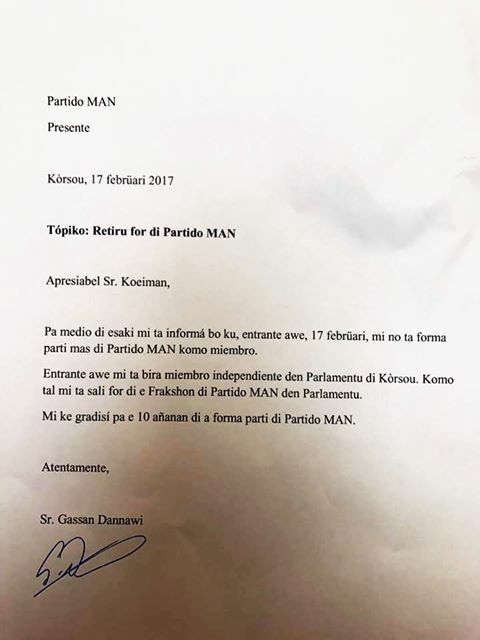 Gassan Dannawi resigned from MAN to become an Independent MP. Since after the elections of October 5 last year, Dannawi had problems with the leadership of his party. After many requests to discuss these issues, and to no avail, he decided today to resign from this party. Earlier he indicated that he will not take the party’s parliamentary seat but today in his letter he stated that he will go with the seat. MAN now has three seats in parliament.